We as horsemen and women have a long history of building, maintaining and riding our local trails. 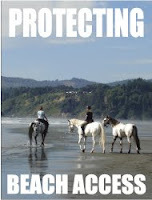 So why then would many of us have objections to the equestrian trail project slated for Little River State Beach? No the earth hasn’t flip its axis and Hades although getting chilly hasn’t frozen over yet. The reason is simply that there is a perfectly fine existing trail. In an effort to gain local equestrian support for this project we were told by State Park personnel several years ago at the onset of this project two important things that turned out to be not exactly true. One was that we were “not allowed” to ride where we have been for decades. 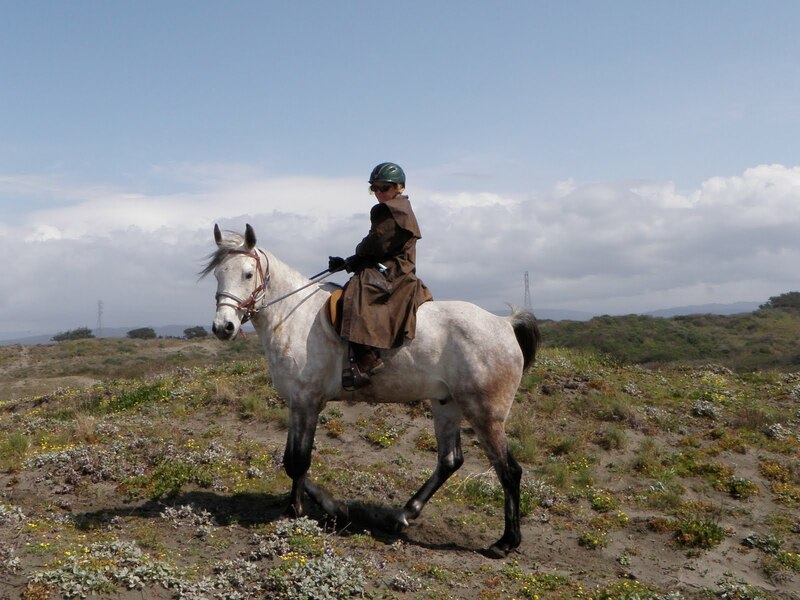 The fact is State Parks had a no restrictions policy that did not prohibit us from enjoying our horses on long established trails. Second was that we were also led to believe that State Coastal Commission representatives stated that they would not allow horses on the existing trail slated for pedestrians only. 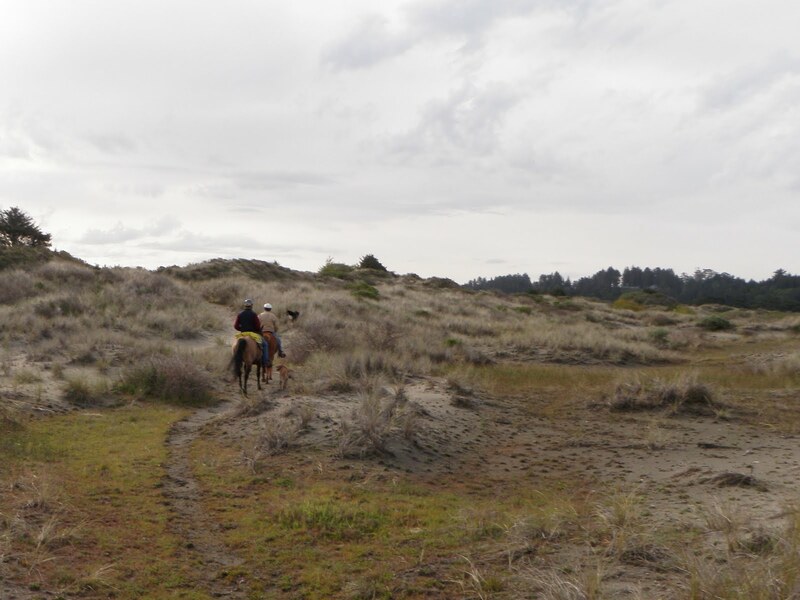 These two misleading presentations led us to believe the only way we would be able to use our horses on this public land was to support this project. 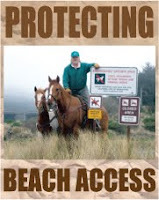 So far State Parks although asked several times, has not provided the identities of those representatives nor have the two Coastal Commission personnel recently contacted indicated there would be any problem with shared use. It would not require any new construction..
We would rather see monies directed to either replanting the area bulldozed a few years ago. Without adequate vegetation there seems to be negative effects on the breeding behavior and success of the snowy plover and has increased raven activity in the cleared area. It also has created considerable both tidal effects and wind blown sand movement that is compromising the function and size of the freshwater wetland to the east. While this project has been billed as a restoration project it is having obvious problems living up to its permit obligations. That is something the Coastal Commission who issued the Coastal Development permit has been made aware of. Hopefully they will have enough gumption to address these serious issues. What is disturbing about the trail part of this project is that while perfectly good, safe trails have been and are being used in this area the new trails would involve using heavy equipment to tear up undisturbed habitat. We have communicated this to the State Parks project manager and acting District Supervisor this past year with no response that addresses this. There also has been no data provided that suggests there are significant impacts from our historic trail use. State Parks could also better direct their limited energies to keeping more of our campgrounds open that benefit local economies and give families inexpensive summer camping opportunities. While we will support much needed horse trails in our community this project has become an example of what we don’t need with preferred trails nearby. With such limited resources we can do better for our environment and our valued recreational systems.